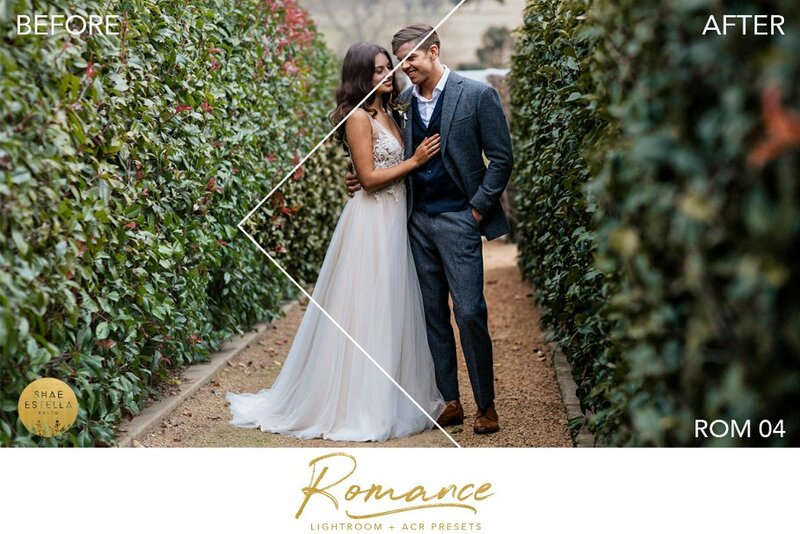 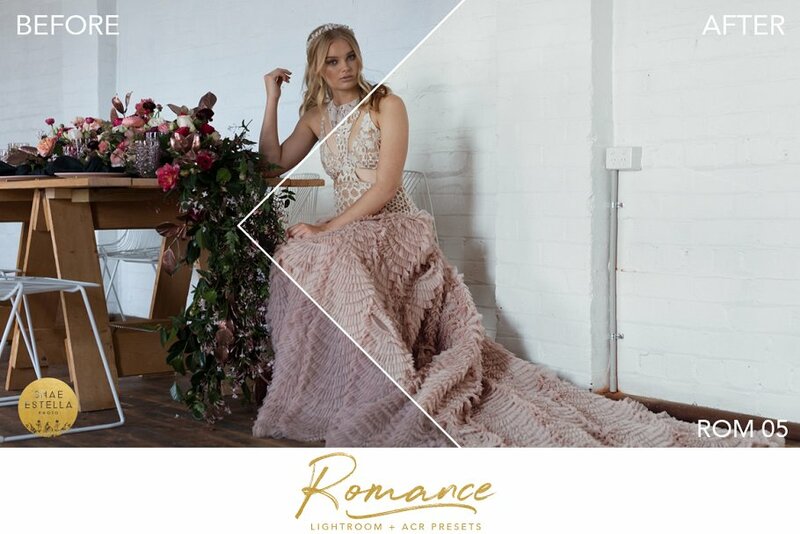 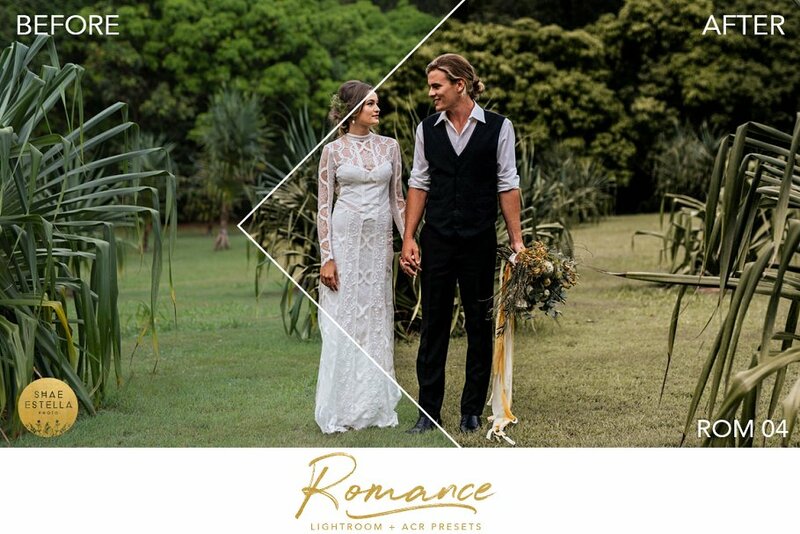 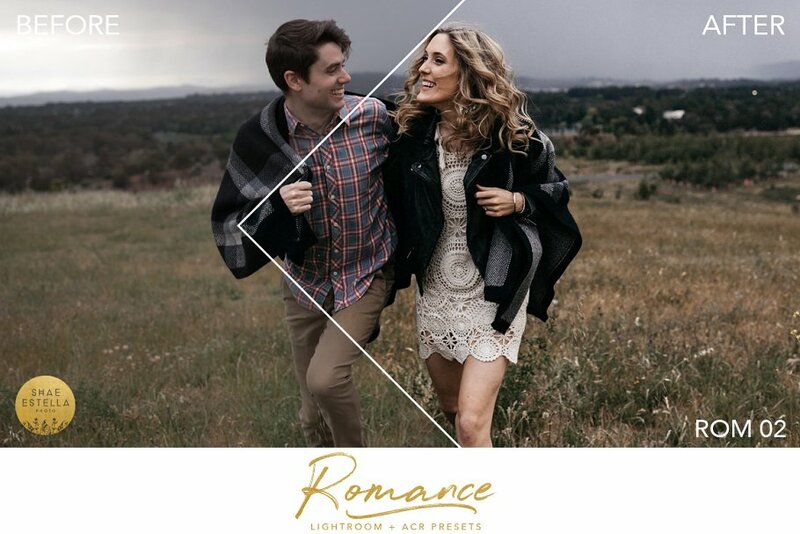 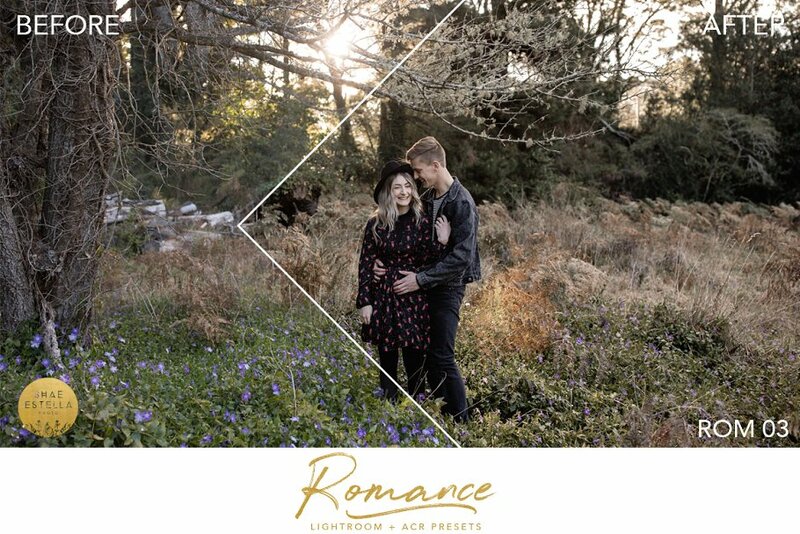 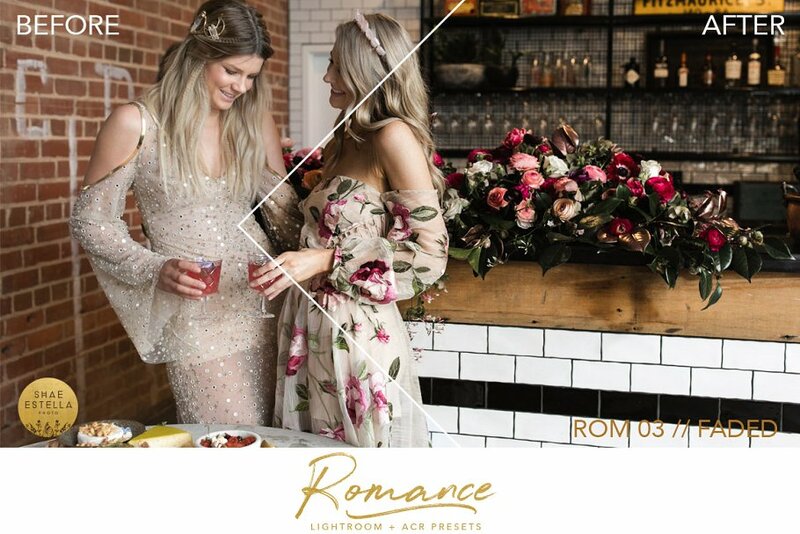 Made by a full time wedding and portrait photographer, these presets focus on quality over quantity providing easy to use, custom lightroom and Adobe Camera Raw Presets to make your editing time shorter, giving you more confidence in your finished style and keeping your work individual and artistic. 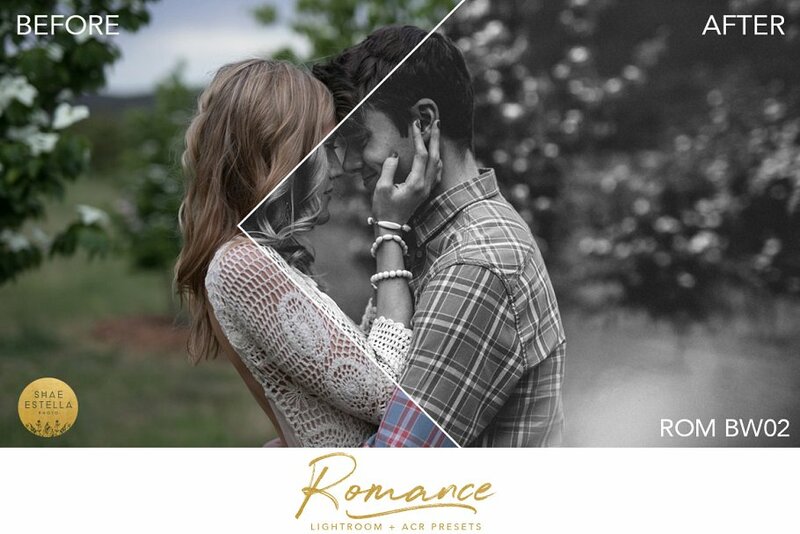 Professional photographers on a daily basis use these presets. 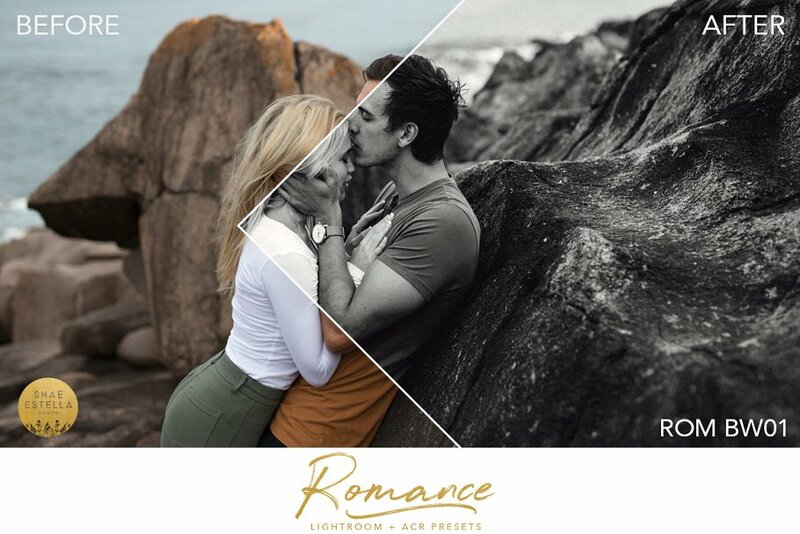 These presets will alter your RAW files to give you a similar finish to the before/after photos presented with this product. 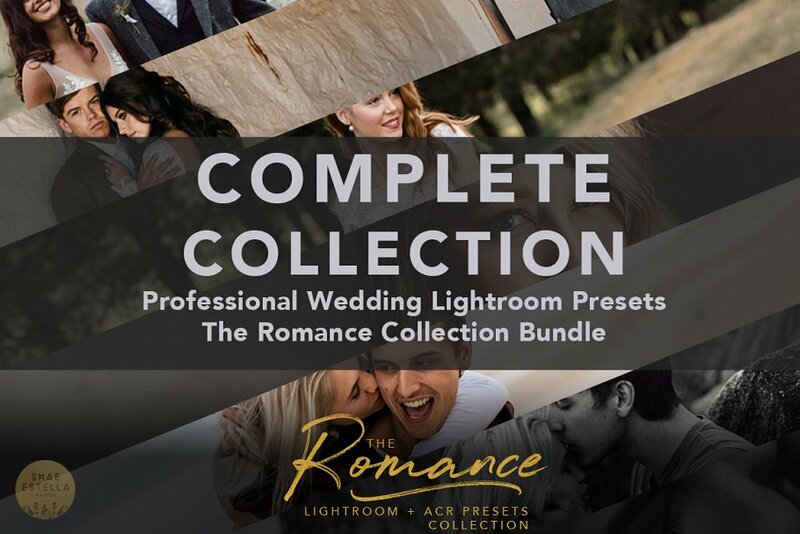 PDF Instruction Booklet with helpful tips on editing with all The Romance Collection Presets. 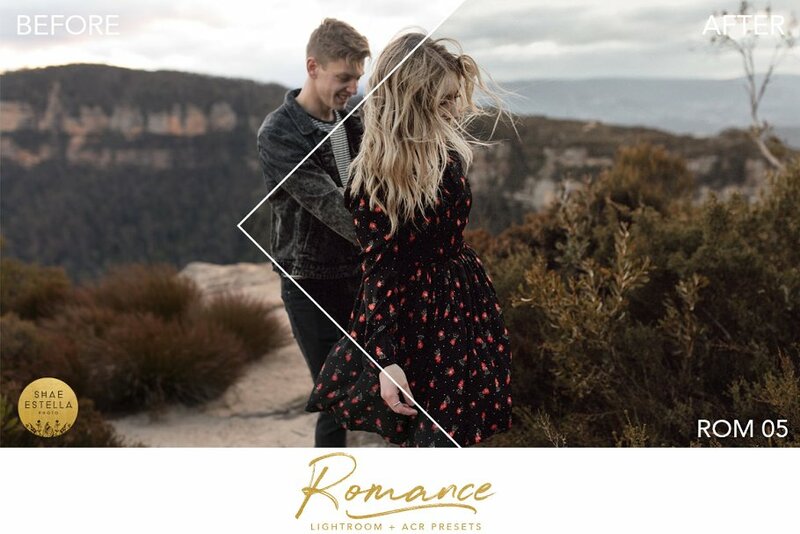 +An invitation to the Estella Preset Community Group on facebook for support, showing off your images and tips/tricks to editing with them!